Each course is restricted to 100 students, so individual attention is guaranteed. Everyone knows everyone! Students are better Irish speakers at the end of the course. We offer a very small student/staff ratio (Approximately 12:1). This is much smaller than the ratio found in schools. Students are supervised at all times and student safety is of the utmost importance. 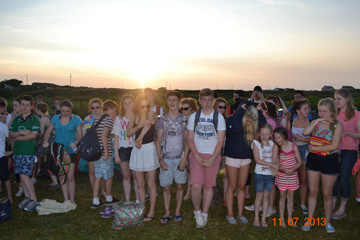 Students are looked after extremely well by the cinnirí, the bean an tí, the teachers, assistants and the principal. Cinnirí are a feature of Coláiste Uí Chadhain and are particularly helpful to new and younger students. We offer a €100 reduction in price for two siblings / €200 for three siblings.